I’m always looking for ways to cut corners when shopping for my two daughters. And a recent shopping trip for back-to-school supplies was no different. Is it me or do these school-supply lists get more ridiculous by the year? What 7-year-old needs six composition books? Or 150 gallon-sized trash bags? 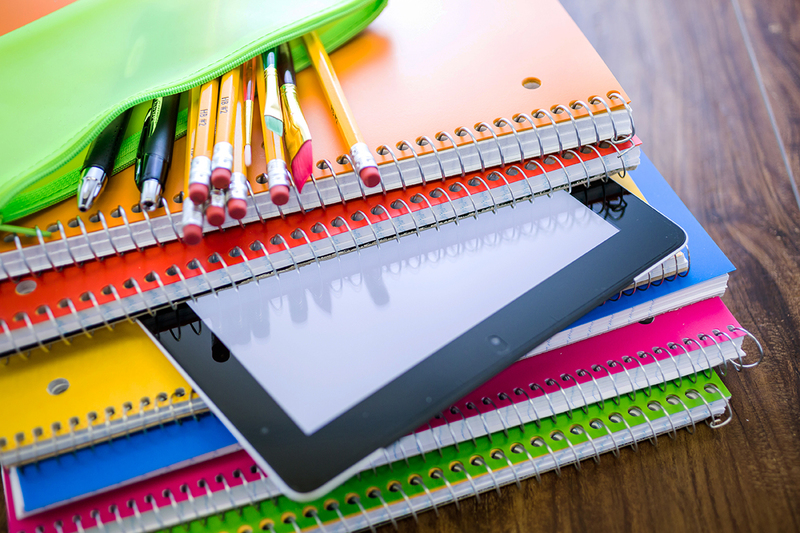 While families are expected to spend an average of $687.72 on back-to-school supplies this year, according to one study, I won’t be joining them. I recently discussed how I saved hundreds on back-to-school clothes by shopping in thrift stores as opposed to malls, and I followed a similar strategy for school supplies. Here’s how I spent a fraction of the usual price. While I made sure to buy most of the items, I didn’t buy everything. For example, my 8-year-old’s third-grade school list called for nine composition books. Yes… nine. I simply could not justify a child having so many composition notebooks! If she really needs more notebooks during the year, I’m sure I’ll hear about it from her teacher. Until that time comes (if it ever does), I’ll save my money by not buying all the items on the list. When I cleaned out my daughters’ book bags after the school year was over in June, I found plenty of barely used pencils, crayons and pens. I simply put them in a box, ready for the following year. Recycling school supplies helped me find nearly half the items on my 7-year-old’s list right at home. I was able to cross off glue sticks, crayons, colored pencils, pencils, rulers, scissors and pencil boxes without leaving my living room. I also made it a point to clean out their classroom desks when I volunteered on the last day of school. Besides the gunk build up, I found small packs of unused paper, binders and pens. I knew everyone would be flooding to Walmart and I didn’t want to fight with other anxious moms trying to get everything on their lists. Instead, I went to a less-crowded Dollar General within walking distance of my house. Most of the items I needed cost cents on the dollar without discounts. For example, I purchased three-prong folders for less than $0.20 each and a pack of 100 index cards for $0.38. Other stores to check for school supplies include Family Dollar, Dollar Tree and Five Below. Before heading to the store, I checked its website for any coupons or deals. Before heading to Dollar General, I saw it was giving customers an additional $5 off their purchases of school-supply purchases over $20. In fact, I just saw an OfficeMax commercial promoting their $0.01 sale on back-to-school folders! Additionally, I took advantage of the tax-free weekend. Because I had to buy some household items with my school-supply shopping, my tax came to $0.60. If I need more supplies later in the year, I’ll be sure to purchase them on Black Friday! School supplies will only get more expensive as my kids get older. I don’t look forward to purchasing $70 graphing calculators for their AP Calculus classes. All the more reason to take advantage of cheap school supplies while I can! Monica Leftwich is a working mom and freelance writer who loves to discuss topics like women’s health and single parenting issues. When she’s not working, she’s eating sushi, making spaghetti and meatballs for her kids or belly dancing. Find her at monicaleftwich.com.